Cityskin Essendon offers anti-wrinkle, dermal filler and double chin treatments with medical experts at Moonee Valley Specialist Centre. Bianca Quon and Dr Jonathan Brown work from Cityskin Essendon and have, on average, 10 years of cosmetic injecting experience. Treatment cost from $4 per unit and we do not charge a consultation fee. Cityskin Essendon is based at Moonee Valley Specialist Centre. Which treatments are available in Essendon? Cityskin Essendon offers anti-wrinkle, dermal filler and double chin treatments. Who works at Cityskin Essendon? Kristie Phillips, Bianca Quon and Jonathan Brown work at Cityskin Essendon. Kristie, Bianca and Jonathan both perform anti-wrinkle treatments but Bianca and Kristie also offers dermal filler treatment. Jonathan performs double chin injections at Cityskin Essendon. How experienced are your injectors? At Cityskin we pride ourselves on having expert practitioners. Cityskin practitioners at Essendon have, on average, 8 years of cosmetic injecting experience. 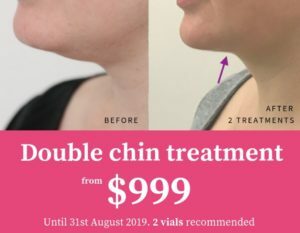 How much do treatments cost at Cityskin Essendon? Contact us any time by email or by calling us on 1800 248 975. Which suburbs are close to Cityskin Essendon? Cityskin Essendon is close to Keilor, Airport West (10 min drive), Coburg (15 min drive), Brunswick (15 min drive) and Pascoe Vale (15 min drive). If you are looking for anti-wrinkle injections at Highpoint we are conveniently located approximately 10 minutes away. There is 1 hour parking out the front of the clinic and you can avoid the Highpoint crowds by coming to see us in Essendon!